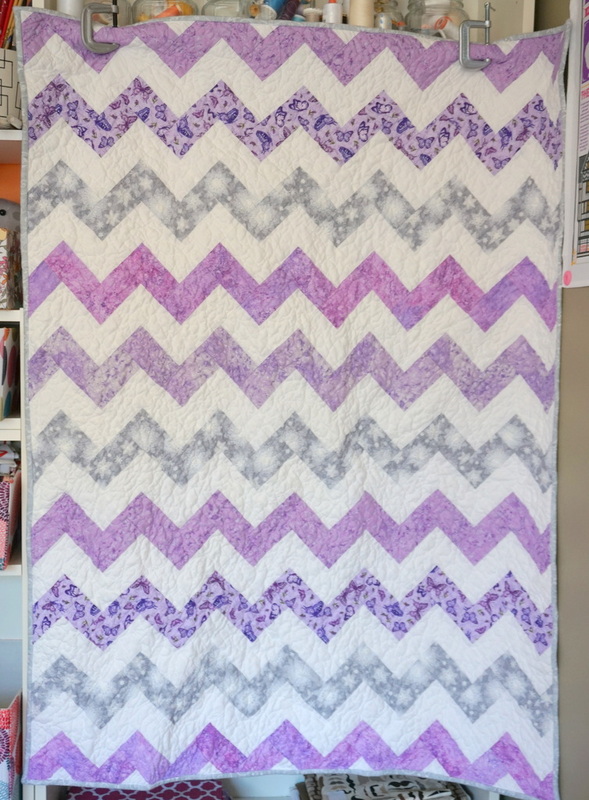 Lavender Baby Quilt Is Finished! 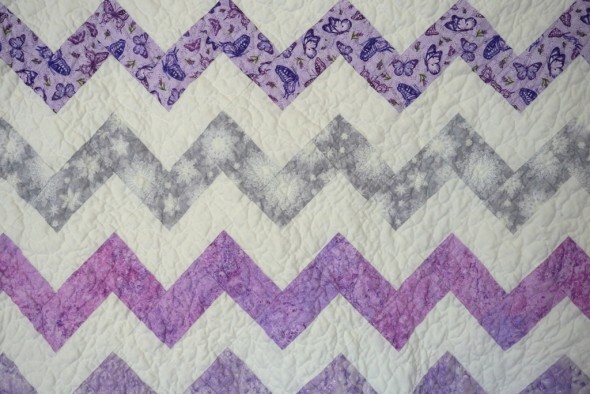 Other posts on this project: Lavender Baby Quilt Pt. 1. Another quilt commission is all finished, and it’s been delivered. Just in time for this baby’s shower! I love this lavender and silver, it’s a lovely combination. I really do like working with zig zags. But now it’s time to get back to some bolder colors and a different pattern. Storybook Quilt Is Finished and Delivered!